(BPT) - Nearly everyone has a home improvement “impossible dream” – an inground pool in a postage-stamp-sized backyard or a professional-grade kitchen on a $5,000 budget. Some homeowners might say their can’t-do renovation is adding a bathroom in an impossible space. But enterprising homeowners and contractors are using a long-proven technology to creatively add bathrooms in a variety of locations once considered “impossible” for plumbing. Above-the-floor plumbing, also known as up-flush plumbing, has been a dependable alternative for homeowners who wanted to add a bathroom in a basement – where breaking into concrete flooring makes conventional plumbing laborious, costly and high-risk. In the Northeast and the upper Midwest, most homes are built with basements – and a high population density requires homeowners to make the most of all available living space. In these regions, up-flush plumbing has been a solution-of-choice for quickly, cost-effectively adding a toilet in a basement environment. But the technology’s usefulness extends far beyond the basement. Owners of slab-built homes may hesitate to cut into the concrete foundation in order to accommodate conventional plumbing. No matter how careful a contractor is when cutting into concrete, a variety of problems can arise – from unexpected obstructions to poor-fitting patches and even stress cracks. Opening walls or floors to accommodate piping may jeopardize historic elements, such as original wood flooring or plaster walls. Systems like Saniflo’s macerating toilet and plumbing technology eliminate the need to cut through a floor to install new drainage, while minimizing the impact on walls as well. The system also fits easily into small areas like a closet or the dead space behind a stairway, meaning homeowners don’t have to give up any room and compromise the flow of their historic homes in order to add a bathroom. 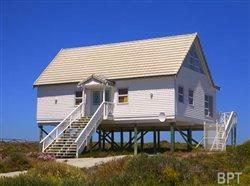 Southern bayou and beach towns often boast charming raised homes. Adding a bathroom to the lowest floor of a raised home can be problematic; conventional plumbing pipes may detract from the aesthetic value of the space beneath the home, which is often used for car ports, porches and decks. Up-flush plumbing eliminates the need for unsightly pipes. In cities across the country, abandoned warehouses have found new life as condos and apartments. Heavy brick construction – especially in historic warehouse buildings – can make adding traditional plumbing difficult. Above-the-floor plumbing eliminates the need to cut into or remove bricks, and allows renovators to install attractive, cozy bathrooms in smaller spaces. A home in the clouds or one that cleans itself may still be pipe dreams. But thanks to up-flush plumbing, adding a bathroom doesn’t have to be an impossible dream – no matter what the particular “impossible” home-improvement scenario. Visit www.saniflo.com to learn more about the technology.